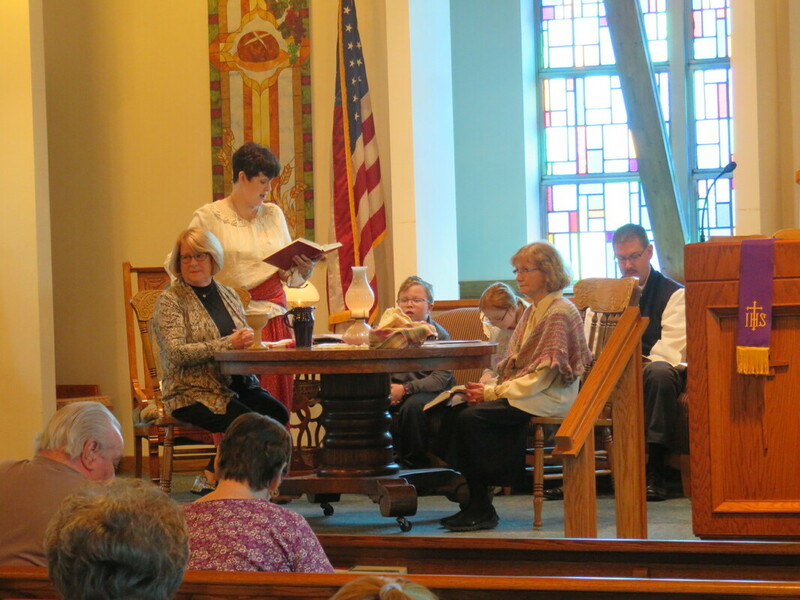 On March 24, 2019, we celebrated the faith of our church's forefathers and mothers who met together in a home 160 years ago to worship. Our altar was transformed into a living room and Pastor Amory as well as a few others wore apparel from that time period. 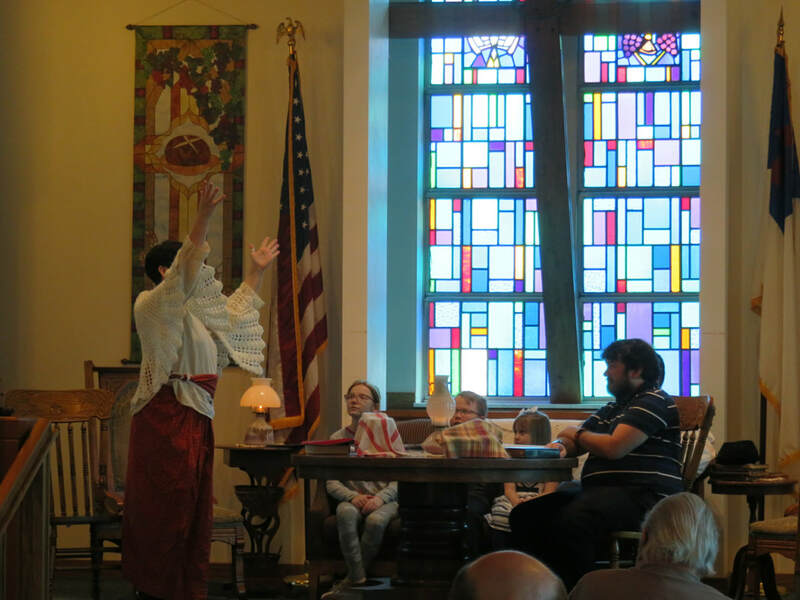 During various parts of the service children and adults were invited into the living room as they may have been during the first home worship service. The Children participated in a game of Charades. What do you think it would have been like to worship in a home? Do you think people in the 1850s were looking for the same things as we are today in a worship service? What would you like people to remember about us 160 years from now? Our Elders were invited into the living room as we prepared for communion.